The activity was accompanied by 130 earthquakes occurring over three hours that morning. Mount Etna, Europe's most active volcano, has seen periodic activity on this part of the mountain since 2013. 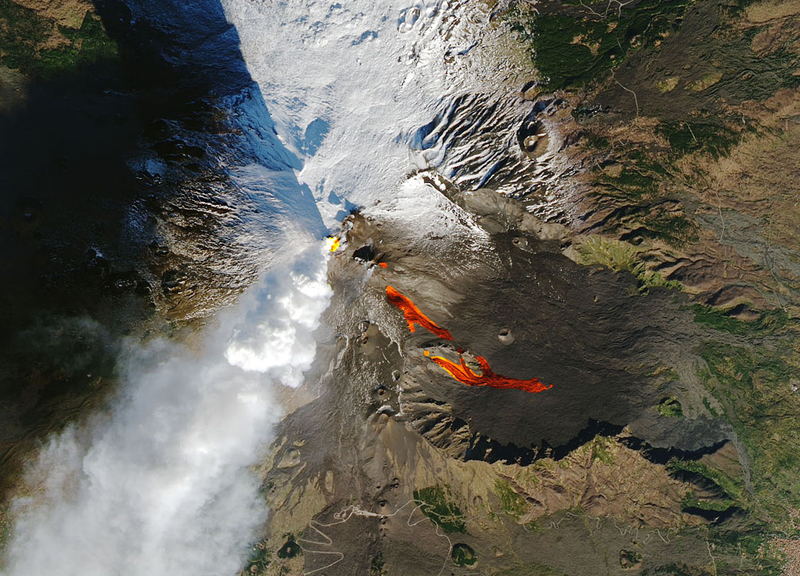 The Operational Land Imager (OLI) on the Landsat 8 satellite acquired the image of Mount Etna on December 28, 2018. The closeup (annotated) image highlights the active vent and thermal infrared signature from lava flows, which can be seen near the newly formed fissure on the southeastern side of the volcano. The image was created with data from OLI (bands 4-3-2) and the Thermal Infrared Sensor (TIRS) on Landsat 8. For the first time in perhaps a decade, Mount Etna experienced a \"flank eruption\" -- erupting from its side instead of its summit -- on December 24, 2018.